100m a day, that’s all one will manage, 200m at most. When you slip tired into your sleeping bag that night, hands full of blisters where there should be calluses, belly muscles aching beyond a gym work-out, and a sunburned face because you didn’t bother about the sunscreen, still you feel on top of the world! 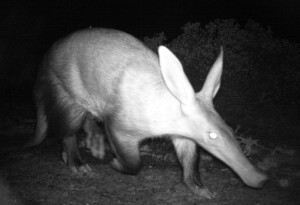 The next day you rise with the last fading stars, the campfire at your feet still hiding enough glowing amber to relight for a perfect pot of coffee, while your trusting border collie is uncovering last night’s dog pellets from the protecting layer of black wattle seeds mixed in with rich fynbos earth. While the coffee is percolating you roll up your mat and sleeping bag, splash icy spring water into your face and scan the sky for today’s weather forecast. 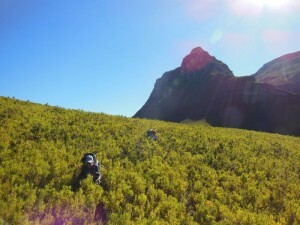 After breakfast it’s time to clear another 50 or some meters of seemingly impenetrable Protea bushes, fynbos, wattles or some gentle willows, before heading home along your piece of work, by now kilometers of solid hiking trail. In between the swinging of your bush-pick and endless electrifying whacks into solid quartz rich sand stone, comes the pleasure of creating “Lord of the Ring” style cairns, to mark the new route. By the time you get home it’s evening again and that hot shower is soothing your dusty dry skin. You already long for the next session while attending the unavoidable flood of e-mails that built-up in your absence, yet you can’t wipe that smile off your face while contemplating what a day’s work in the city must have been like and you fear, that soon, your just required calluses make way for soft office skin again. 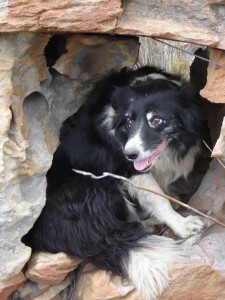 That border collie was Matata (1999-2015). That trail is the Gecko Trail. The pleasure was, sorry, is mine! …the mornings carry a lovely mist and while the nights are nice and crisp, the days are a delight with the sun warming ones skin! Even our chickens are taking a break and haven’t laid an egg for a couple of days now… THIS is the season, for extended hikes without a sweat, for rides on the mountain bike be it 10 or 40km, and of course a lekker braai or even better a potjie with springbok, chicken or lamb (just not our recently spotted Aardvark) while a crackling fire fills the air. Hence, even I take the chance and escape every now and then into the mountains to some uncharted peaks, valleys or ridge lines. One of those weekends was the 10th of May. 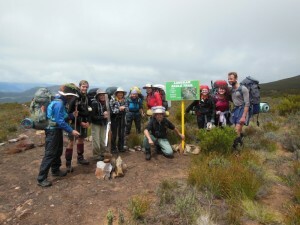 A small group of us, all guides on the Rim of Africa, recced a new section on the Eastern part of the Langeberg, due to open for this 2013 season. Just 2 days in the midst of endless protea slopes and rocky ridges and a night under the stars with crystal clear water gurgling in the stream nearby. What a privilege! What piece of earthy heaven! All right on your door step! 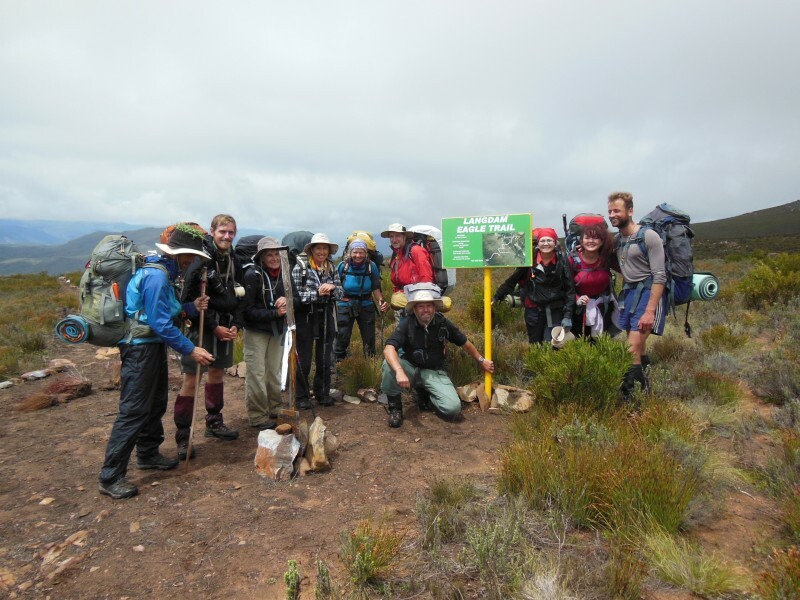 Well check the pictures and if you like to see more, visit: Rim of Africa for further info on this year’s first timer of almost 60 days non-stop in the mountains, from Pakhuis pass to George… You simply can’t miss this extra ordinary mountain journey! 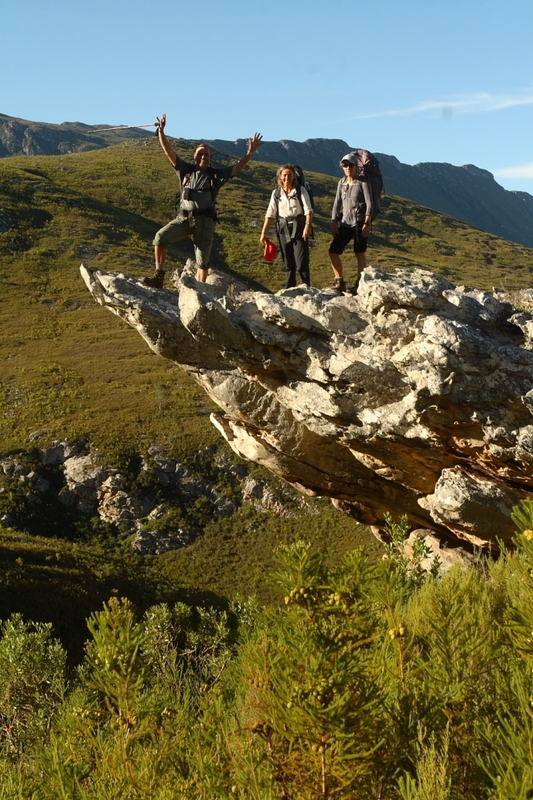 For those of you who can’t spare a whole 2 month of work or away from your pot plants… there are shorter options and if all fails, there’s always Simonskloof with its Gecko Trail (which forms part of RIM’s 5th section Hex valley – Montagu) . 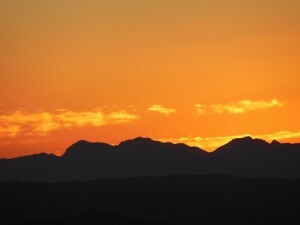 See’ya soon… in the mountains! Nice when a long held dream finally comes true. 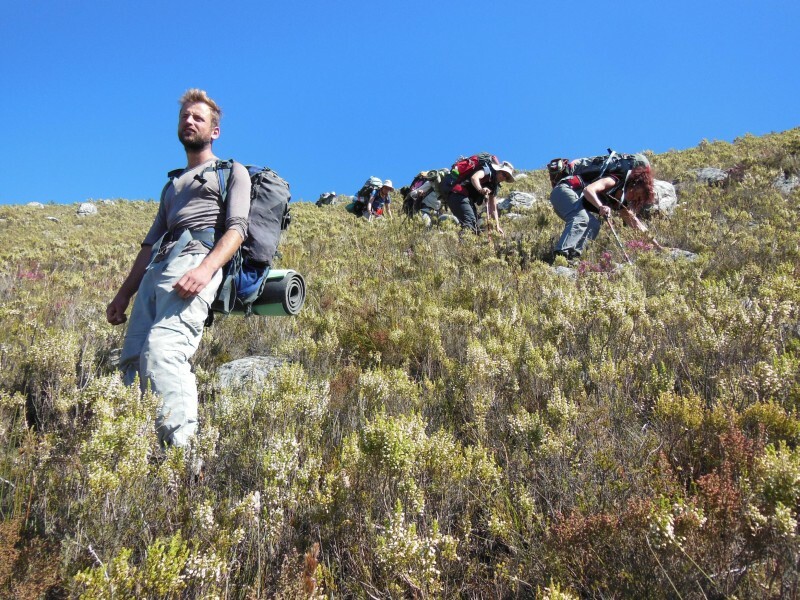 Since around 2001 I’ve had this vision of creating a hiking trail from Simonskloof to Montagu and eventually connecting with Swellendam. I started with the first section from Nuy Valley to Simonskloof in 2003 and after several rebuilds due to fires and floods, added Simonskoof-Langdam in 2010. 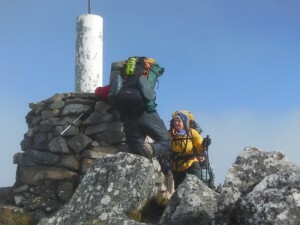 This year I was asked to join an even bigger vision: The Rim of Africa, a 650km mountain passage from Pakhuis pass in the northern Cederberg via the Hex River mountain and the Langeberg all the way to the Outeniqua mountains in the East – not just as part of the trail, but to guide participants along the Rim on stage 5, from the Hex River Valley via Simonskloof to Montagu. 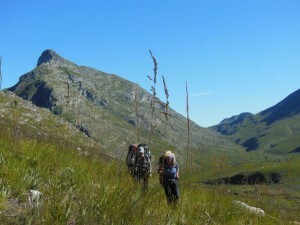 On the 16th October I joined my group of mountain hikers, local and from overseas, at Die Tolhuis outside Ceres heading for Milner peak over into the Hex River valley. However, due to bad weather conditions, snow prediction and zero visibility on Milner, we had to transfer on day 4 to Nuy Valley and hiked the Gecko Trail as a welcome alternative, including its adventurous 14 river crossings and a final scramble up the boulderous Cobra ravine. For the following two days it rained, so we stuck it out at Simonskloof (lucky me) getting ready for the next four days to Montagu. 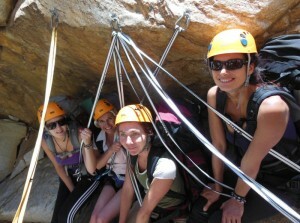 Monday the 22nd full backpacks were hoisted and in good spirit we headed for Arangieskop. There the hut and its fireplace kept us nicely sheltered from the 4° outside while we dried our boots and feasted on freeze dried Moroccan lamb with couscous. The following day saw us descend along the hiking trail, by-passing the dangerously steep Vensterbank and re-join the ridge by the evening. 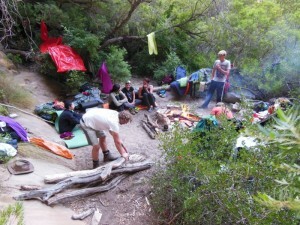 That night we slept in our tents with a howling south wind plucking on the guylines. 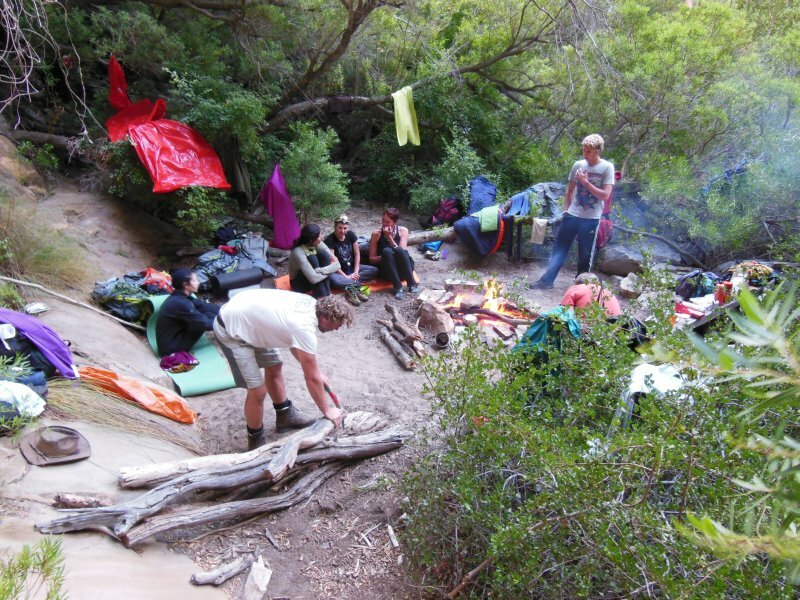 Day 9 started in thick mist but by the time we reached Olifantskop it had cleared and we were blessed with a vista better to none and in true Rim style we scrambled along the very top of the ridge to our camp at Waterfallkop, much better sheltered then the night before. Our last morning on top of the Langeberg was greeted by a perfect glowing red sunrise, dry flysheets and a good coffee made from water we had collected out of rock puddles.The journey continued past the trig beacon, then down the “Swoosh” were we finally found fresh spring water again, hence it was time for a much deserved tea break. One “last” climb back up to the ridge and by lunch time we had reached Bloupunt, overlooking Montagu. If you are interested in “walking” the Rim of Africa visit their website. In 2013 another 3 stages will be added, finishing at the Outeniqua mountains. You owe it to yourself AND to the mountain! For more images of stage 4 & 5 visit our Facebook page.